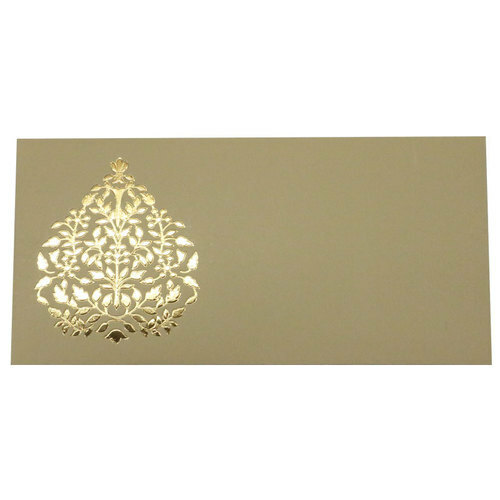 This Classy Envelope comes in multiple designs and is ideal for different occasions. Established in the year 1981, Mirzaan Enterprises is a name that is recognized by all in the market. We are based in Mumbai and have a good will that we have managed to earn over these years with our range of quality products. We are primarily engaged in the wholesaling and trading activity and are a leading name in the related field. Our wide variety of products includes items like Greeting Card, Slam Book, Paper Envelope, Artificial Rose and many more that are specifically useful for gifting purpose. All the products are made of quality raw material and have a superior finish. Please feel free to contact us for any amount of order or query.